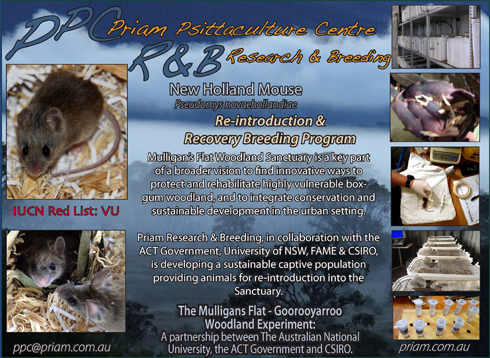 Priam has over thirty years experience in ecological research and captive management, and a single focus of sustainable captive breeding to alleviate pressure on these species and their home range ecosystems, while providing well-adjusted animals for the increasing fascination that dedicated people have with these creatures, both as companions and for breeding. 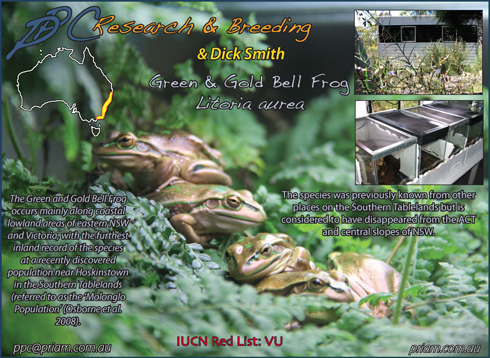 No wild caught birds enter our breeding programs. 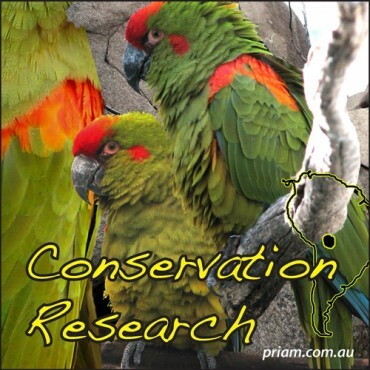 Priam’s objectives are also to encourage the awareness of the conservation needs of parrots through education, to establish a conservation network that assists parrots in their natural environment, and to stimulate research into avicultural technology, especially in the areas of incubation, hand-rearing, aviary design, remote surveillance monitoring and the nutritional and psychological needs of captive parrots. 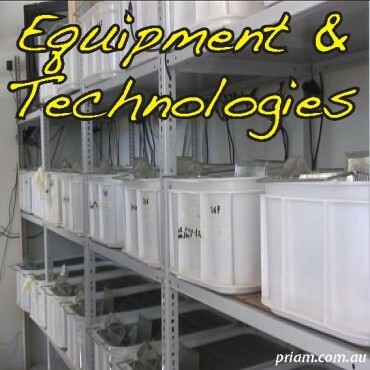 We offer a wide range of specialist avian breeding equipment, including incubators, brooders, and incubation and husbandry accessories. PPC offers a wide range of quality imported and local, organic and traditional, nutritionally balanced pelleted diets for birds and hand-rearing formula; as well as a range of nuts, seeds and mixes, and a large variety of avian vitamin and mineral supplements and wellness products. 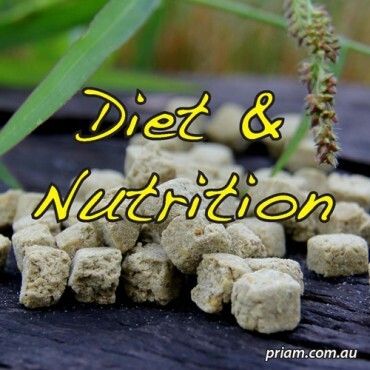 Go to our Diet & Nutrition page. 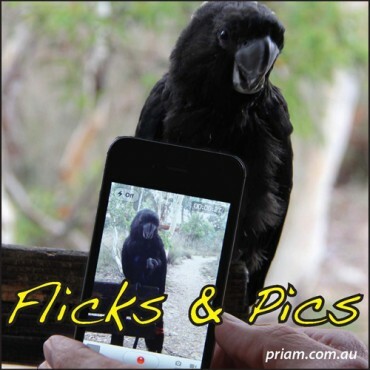 A comprehensive range of Parrot Breeding videos and demonstrations, including parrot feeding, incubation and psittaculture techniques. 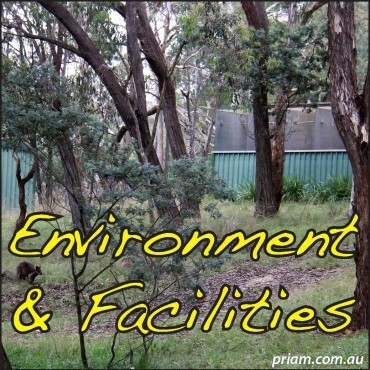 Priam Psittaculture Centre was established in 1997 at the Silver Dawn Parrot farm near Bungendore, NSW, Australia and is situated in 18 hectares of native eucalypt woodland with aviaries and associated facilities set within. 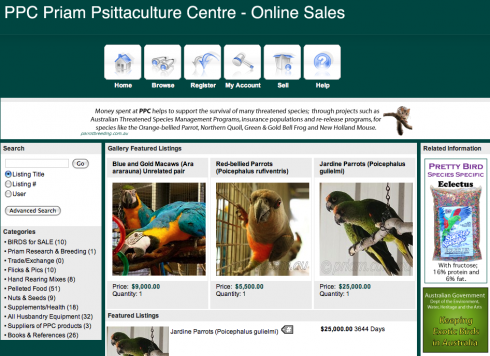 Checkout our wide range of parrot breeding flights and aviaries. Priam Psittaculture Centre encourages through education an awareness of the conservation needs of parrots of the world. The breeding facility’s design is based on world leading technologies and is in accordance with the aims and objectives of the CITES (Convention on International Trade of Endangered Species of Wild Fauna and Flora). 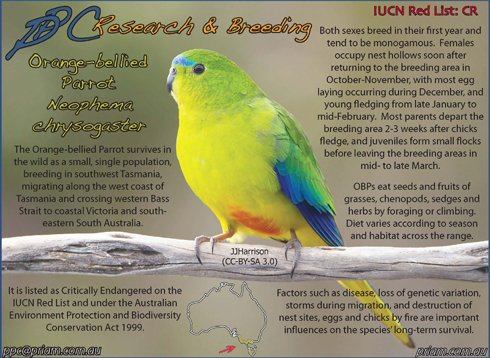 We offer a comprehensive range of parrot breeding resources to assist all breeders of parrots. 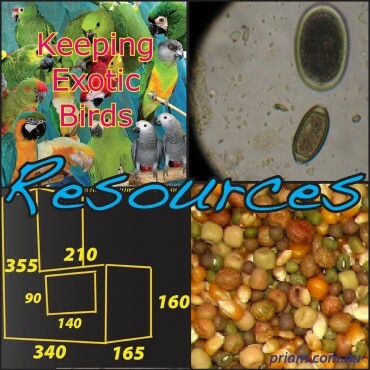 These include Food & Diet Sheets for breeding and non-breeding parrots, resource information on pathogens, movie demonstrations on feeding baby parrots and much more. 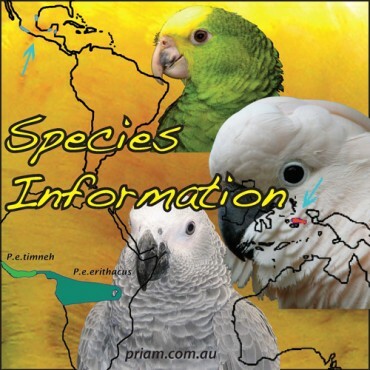 Parrot species information, including current population information, species distribution maps, and links to latest fact sheets from CITES, IUCN and Birdlife international.